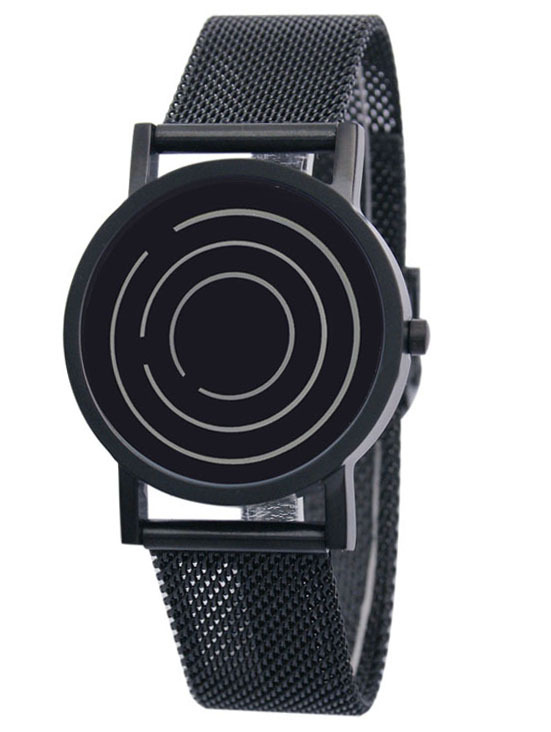 Designed by Laurinda Spear for Projects Watches. "The cycle of life, with a beginning, middle & end is synchronized by the 3 rings and guide us along our path to openings where time limits are set free. Our journey through time, passes the story of our past & present, to a hopeful future"
Black Free Time is a 33mm in diameter unisex watch (1 1/3"). It made of all stainless steel and is water-resistant to 100ft. Free Time is also available with a stitched leather band or stainless steel band.